Bemnet Limousine Service is a locally owned Limousine service that has earned a reputation as the finest limousine service in Dallas, Texas. Our selective clients expects only the best…and that is what we deliver. 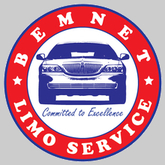 Bemnet Limo Service aims to offer limo services, has an extensive experience working in the transportation industry as taxi cab owner and operator for over 15 years and brings his many years of knowledge and experience to thhis company, business relationships to both individual and business clients. We are fully licensed and insured. Our chauffeurs go through a rigorous screening and training process. Bemnet Limo Service guarantees a high level of customer service and integrity. Our prompt service and comfortable limousines have earned us consistently satisfied clients. Due to repeat business from our satisfied clients, our services are highly in demand. Our fleet now features variety vehicles to meet our client needs. We are sure to have the perfect vehicle for you. Bemnet Limo is Dallas’s First Choice For Great Service Because of Privacy.